The Living Room is a wonderful organization which welcomes homeless and at-risk women and their children into a safe environment during the day when shelters are closed and gives them the opportunity to learn new skills and move toward independence. 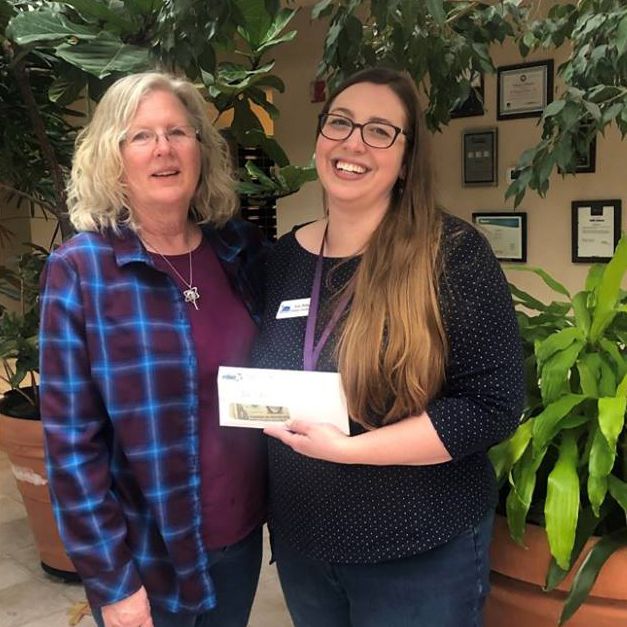 We had Katie Phillips from The Living Room come to a lunch & learn to talk to us about what they do, and we were able to help them with donations from the attendees as well as the company! 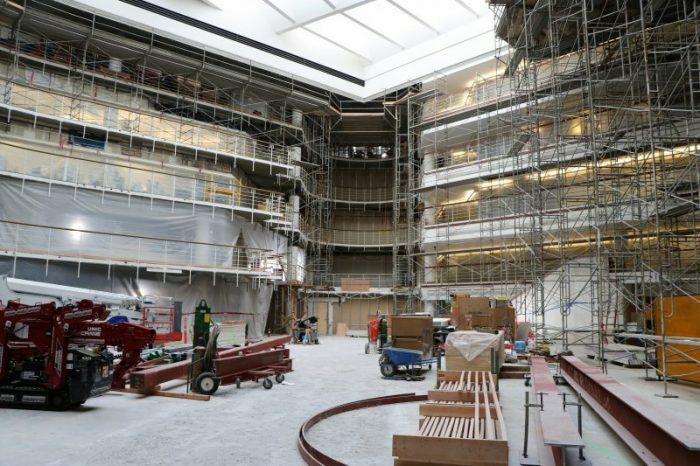 WBE is putting the final touches on Workday’s new corporate headquarters in Pleasanton. 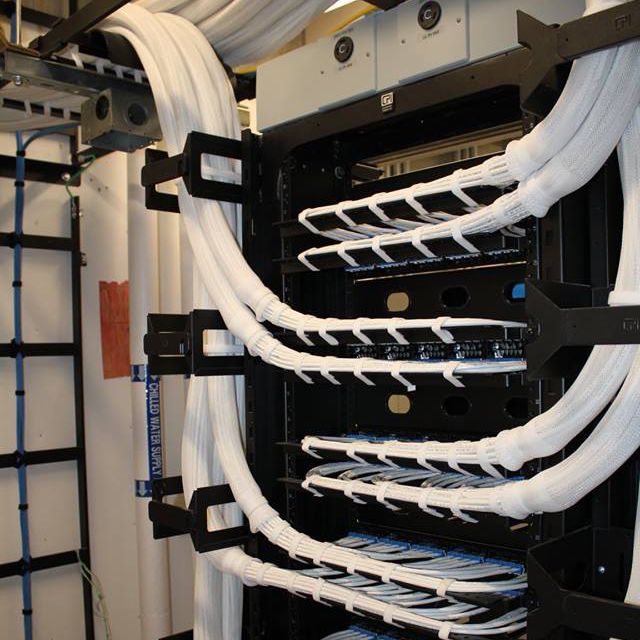 In addition to the Category 6A network infrastructure, we installed Berk-Tek’s “OneReach” PoE Extender System capable of reaching beyond 100 meters for all campus wide exterior wireless access points. WBE places #53 on the North Bay Biz’s Top 500 List! The list is out and we are moving on up! WBE came in at #53 on the North Bay Biz’s Top 500 list this year up 4 spots from last year. The list is based on revenue and we exceeded our previous years amount by over 20%! We had a few members from out office volunteer to help out at COTS in Petaluma with food sorting and prepping. We are so proud of our team for putting in their hard work! 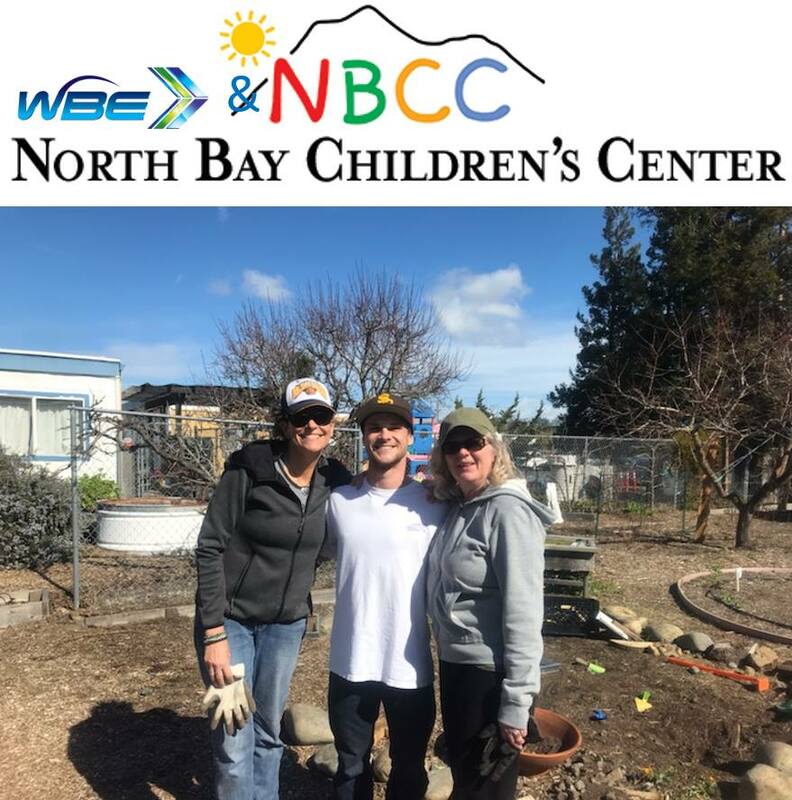 Recently we sent some WBE volunteers to help out the North Bay Children’s Center with weeding and pruning! They were there all morning doing their best to help clean up the children’s “Garden of Eatin”. Giving bak to our community is one of our core values! 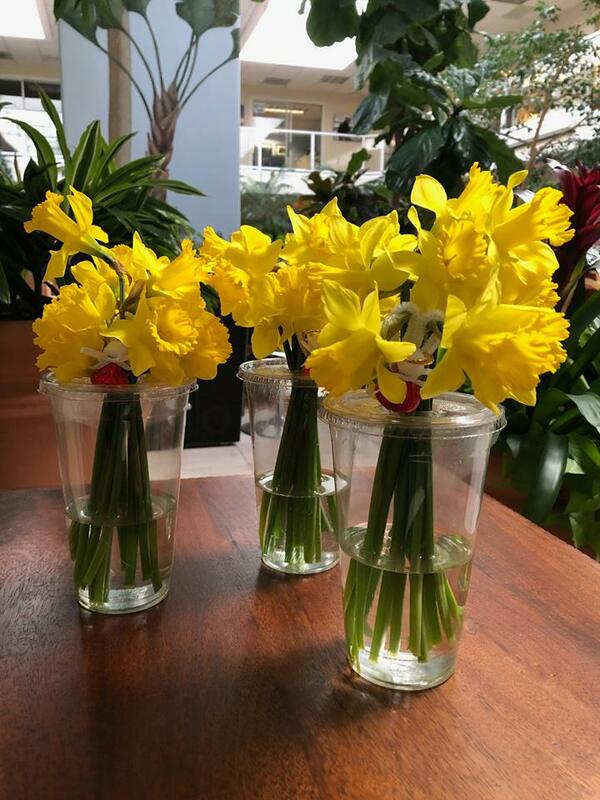 Dave Reuser carries on his dad Merle’s tradition of giving Daffodils away to people he comes across to help brighten their day. For some, these flowers are a symbol of hope or remembrance and for others they are just pretty yellow flowers. Either way, we love this act of kindness and hope this tradition spreads. North Marin Community Services is a wonderful organization which serves 5,500 people in our community each year! 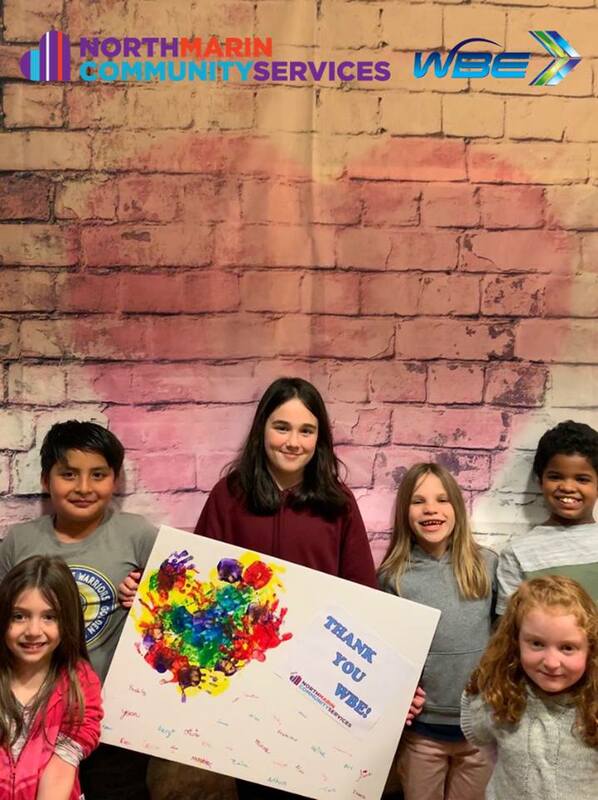 We are proud to support them in their work with the community and we thank the kids for this wonderful piece of artwork they made and dropped off for us! WBE takes their work to new heights at the AirBnb Atrium! We are in the midst of a complete redesign of the 16,500 sq ft. space. Installing new lighting, fire alarms and a staircase system with 220 specialty LED handrail lights. We can’t wait to see the finished project! 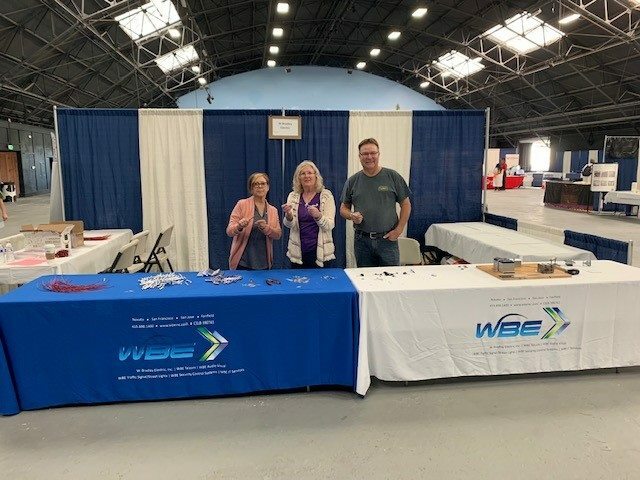 For the second year in a row, WBE has sponsored a booth at the North Bay Science Discovery Day located at the Santa Rosa fairgrounds. This event targets 4th to 8th graders and our hands-on exhibit taught the kids about electromagnetism where our volunteers taught them how to “magnetice” a screwdriver. This is a great free event for all which drew in around 15,000 attendees! 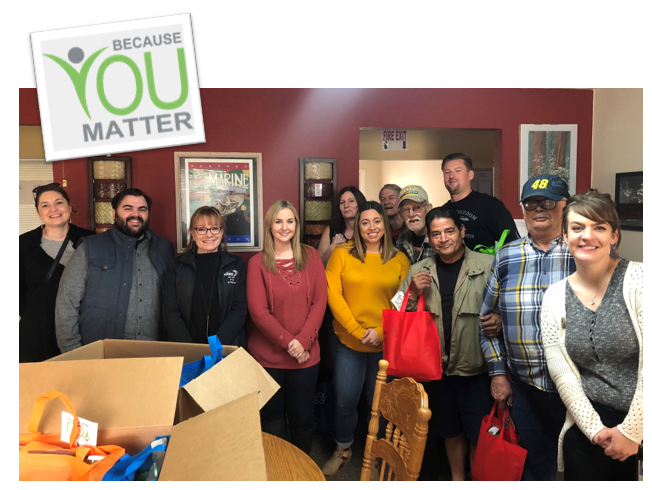 Our WBE Random Acts of Kindness group stopped by the Veterans Resource Center’s Hearn House in Santa Rosa, to drop off gift bags to some of our local Veterans. We wanted to take a moment to let them know we appreciate their service for our country. It was a heartwarming visit where we got to share some stories and get to know them a little bit better. 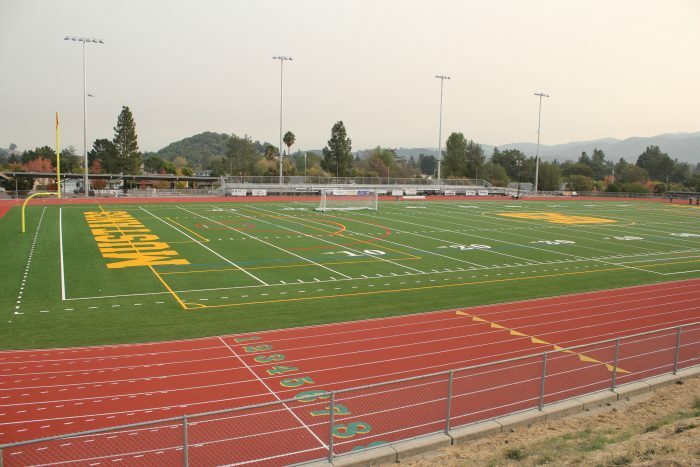 Our Traffic division has teamed up with BHM Construction on the installation of the new stadium field lighting for our local San Marin High Mustangs. WBE will be installing the new lights and getting the gear online to have ready for the next upcoming sports season!